Plateau of productivity – Haufe Book Sprint done! After a four day Book Sprint, ten colleagues of the Haufe Group finished their book on WHYral Transformation. The book introduces the company’s new concept of organisational transformation. Classical approaches to change management describe the change process as a wave trough. From that perspective, changing looks like a painful journey of denial and anger. Instead, Haufe views the transformation process as a curve that can lift you up. It starts from within the company with an innovative idea that anyone can bring up and that is communicated through peer networks. Employers turn into intrapreneurs that spread their message and seek for followers. They develop their own reasoning of why to take action and are enabled by management to do so. The reader is presented with this new approach step by step. Examples, discussions of the challenges and illustrations show how it can be applied within organisations. The story of the book itself is the result of such a process. Within the company people from different departments (Marketing, Sales, HR, Production etc.) formed a group to flesh out a new approach and enthuse people in their networks to make use of it. Over time the idea was developed further in iterative loops. 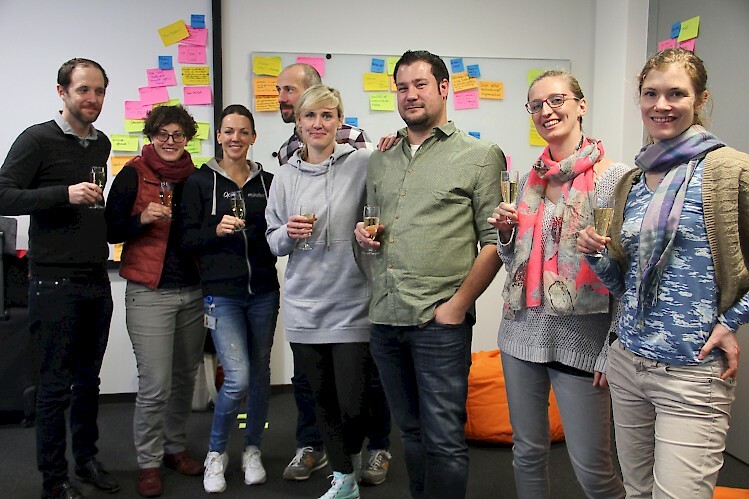 These insights were then expanded and collaboratively written down in four days during our Book Sprint in Freiburg. Writing a book on a collaborative process within a collaborative process itself makes perfect sense. However, it can be challenging, with ups and downs – like a mountainous landscape. We kicked off the first day with an open discussion on the different perspectives and experiences of the group, then we clustered ideas and structured the content. On day two, many pages were written, and expectations peaked – the promise of an emerging book. On day three though, as in many Book Sprints before, some participants experienced a trough of disillusionment when the goal seemed to get farther out of reach. 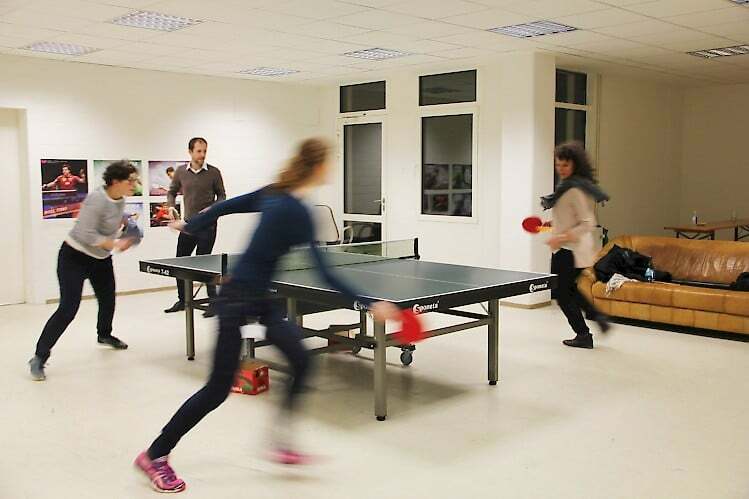 Rounds and rounds of ping pong helped us to clear the heads and regain energy. It took hard work to agree on common terms but finally we climbed up the slope again. When the group saw the first layout draft of the book at the end of day three, it suddenly seemed real. After that, the group reached the plateau of productivity. The text was revised one last time, the illustrations integrated, the title and cover of the book discussed. 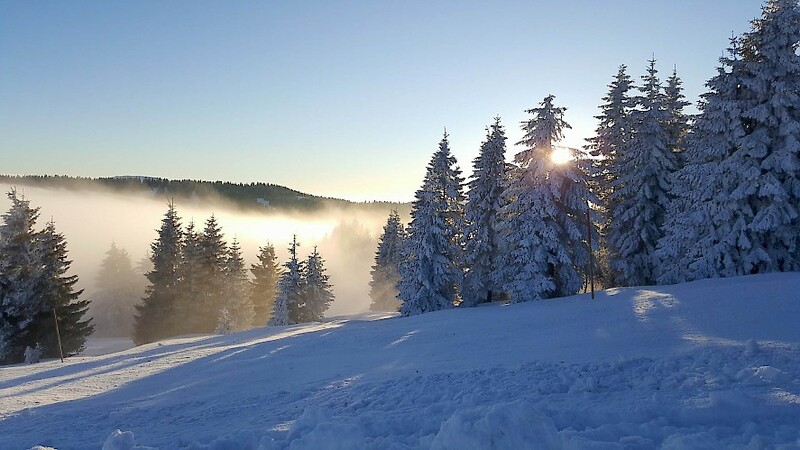 And after the book was finished on day four, the facilitators had the chance to go up the Feldberg close to Freiburg to enjoy the view of mountains and valleys in the snow. See more pictures of the Book Sprint at Haufe here on flickr.